[Ho Chi Minh City] A trip to Vietnam without having some pho would be a culinary crime. 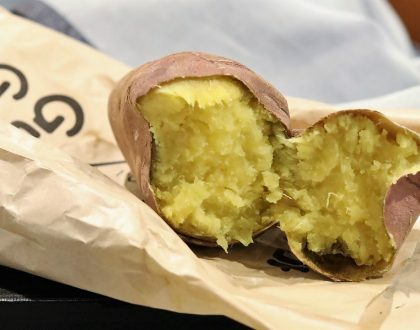 Among all Vietnamese dishes that made their way across the globe, this is arguably the most iconic dish of Vietnamese cuisine. The question is: Where to go for a bowl of pho in the land of hundreds of Pho shops, sometimes only a few meters away from each other? 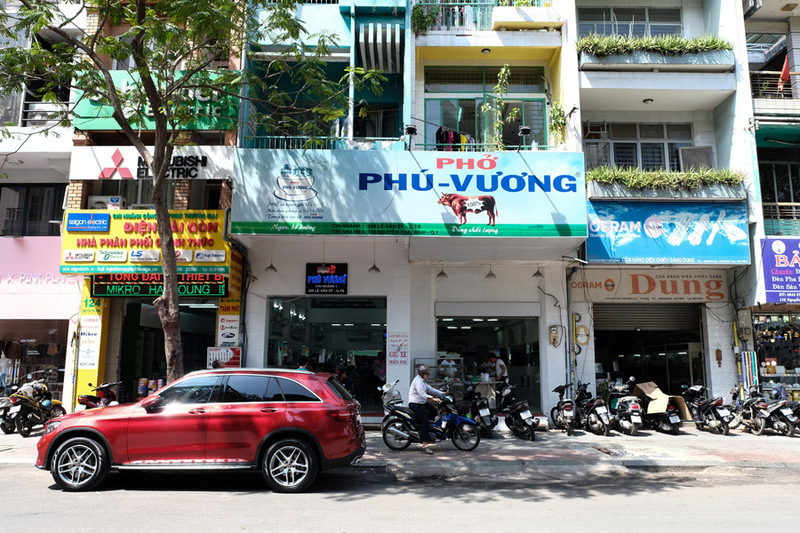 Phở Phú Vương started to be a humble pho stall, and grew to two shops with approximately 200 seats in total. 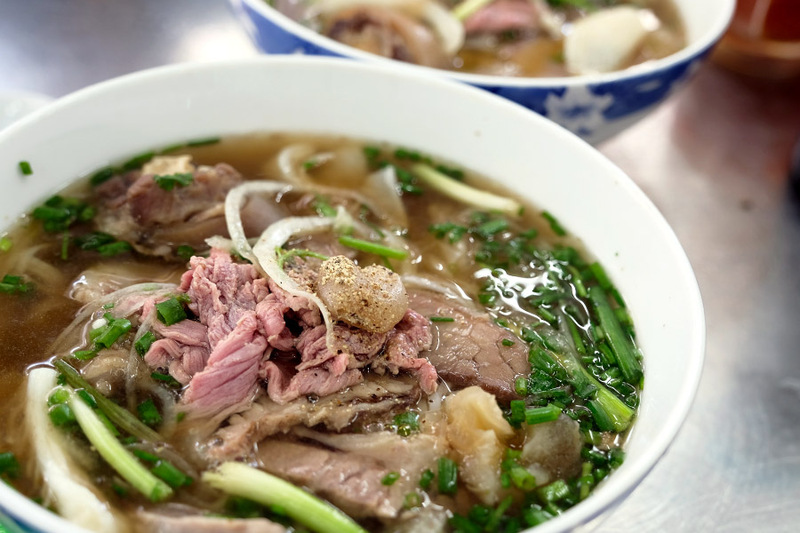 The shop specialises in Southern-style Pho, which differs mainly from its northern counterpart in the sweetness of the broth and the condiments used to accompany your pho bowl. Pho Phu Vuong represents the typical no-frills local eatery where there is no ambience to speak of. 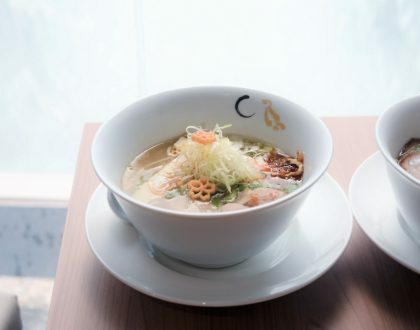 However the place is covered in white-tiled walls, brightly lit, reasonably clean and relatively spacious as compared to other eateries in town. You come in, you order, waiters bring the food, you eat, pay and leave. At meal time when customers flow in, you certainly have to share tables with strangers. Service is no means courteous or polite one that the West is accustomed to. 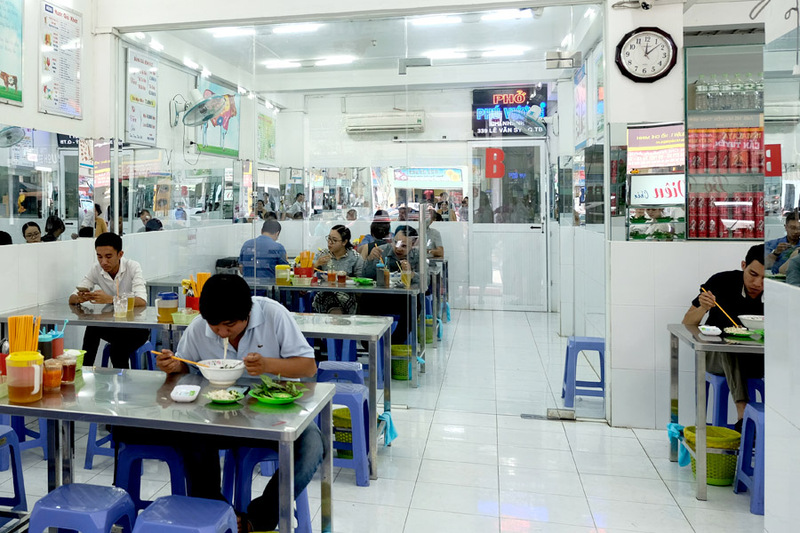 There are two main seating areas at this branch on Nguyen Thai Binh street, only one has the air-conditioner to help you combat the heat while slurping the tasty pho. 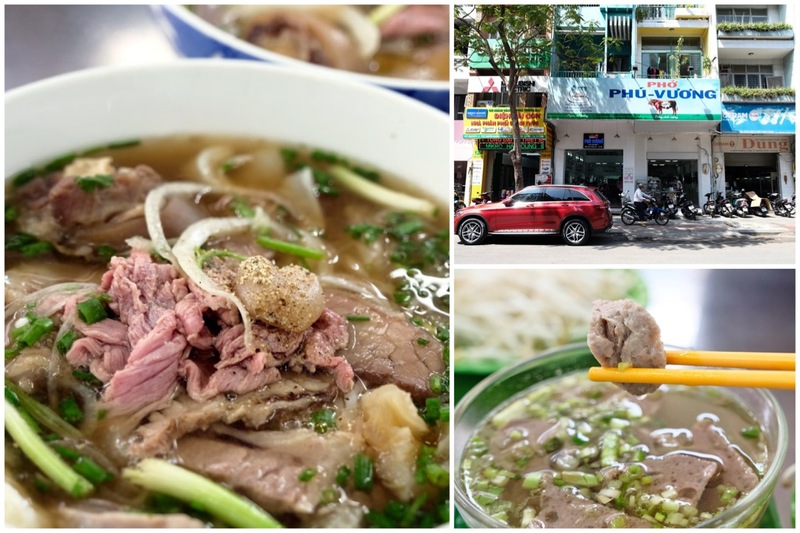 A small bowl costs 55,000 VND (SGD$3.26), a big bowl comes at 60,000 VND (SGD$3.56) and a special pho (Tô đặc biệt) costs 75,000 VND (SGD$4.45). Being overwhelmed with choices, I opted for the special pho which offered everything. The service was efficient. My bowl of pho came literally 3 minutes after ordering. Special traits of Saigon pho are the herbs served as soon as one finishes ordering. 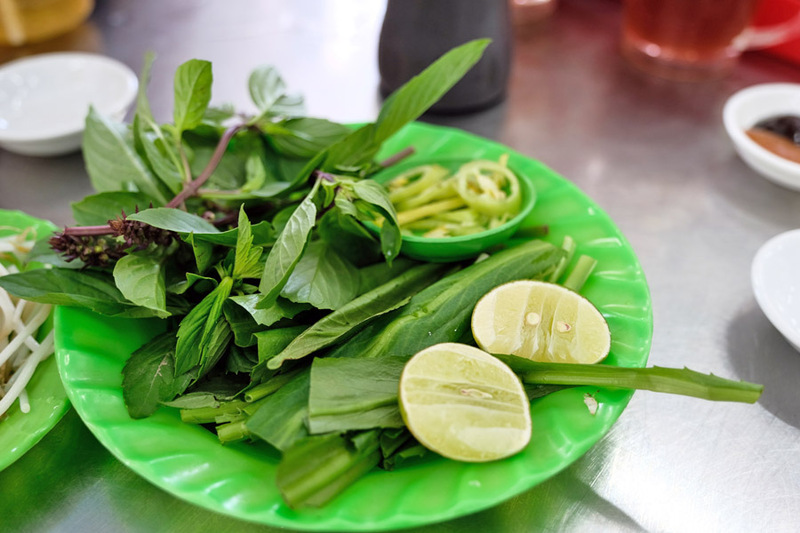 The plate would typically contain lime wedges, Thai basil, beansprout and various other herbs, which you would not find when you have pho in Northern Vietnam. 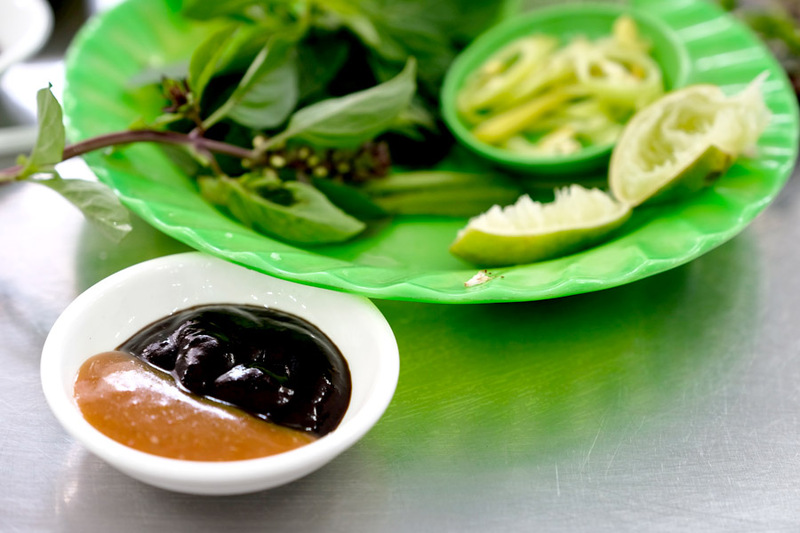 On every table one can easily spot hoisin sauce and chilli sauce that locals would almost always add to their pho to elevate the taste. They also have a separate small plate containing these sauces to serve as dipping sauce for the beef. The noodles were of the thin type, soft and slurpy. The broth had a slightly sweet side, and I would have liked it to be a tad hotter. However the soup was flavourful, and the essence of ginger was clearly there. When herbs and beansprouts were added, lime wedges squeezed in the overall taste was enhanced and made for a very delightful and hearty meal. 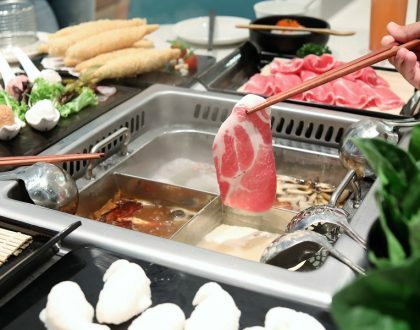 The sliced rare beef (tái) was lean, the fatty flank (gầu) was firm. 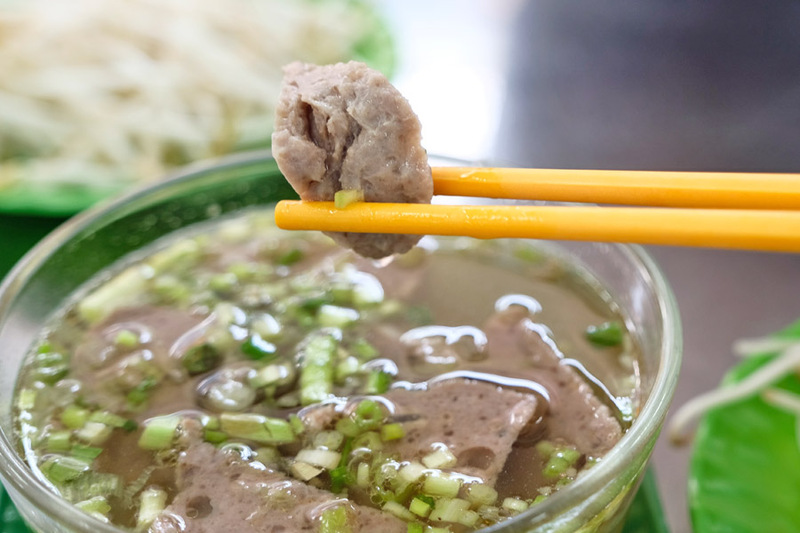 I also had an extra small bowl of beef balls (that costs 50,000 VND, SGD$2.96), which had good texture though nothing to be raved about. Prices are definitely on the higher side in comparison with other pho places but do come here for a bowl with rich, tasty broth. With the flexibility to choose your cut of beef in a relatively clean setting.